Remove Those Stubborn Hairs Quickly! Download our FREE eBook and learn why epilators are still one of the most effective hair removal devices on the market today. Learning the Basics – What is an Epilator? 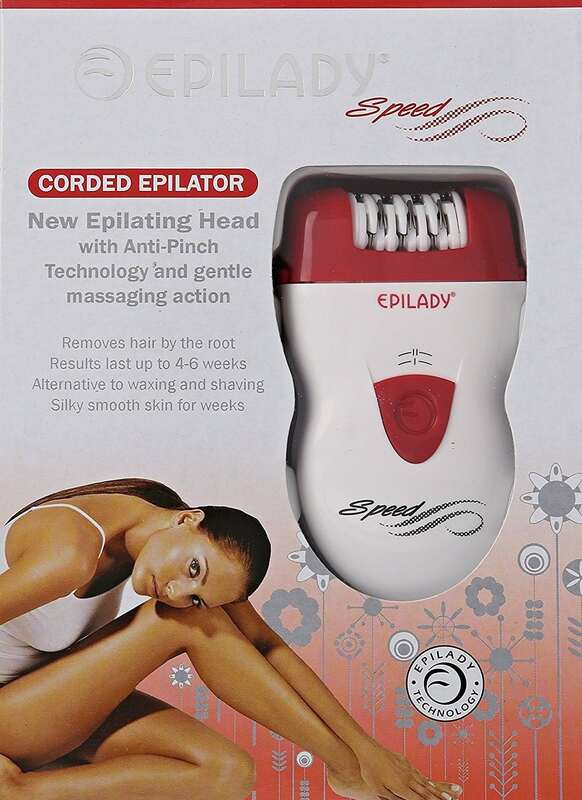 If you are new to the world of epilators then you will want to take a look at the Epilady Speed Corded Epilator. It is an excellent introduction to the world of convenient and practical hair removal. Epilators first appeared on the market in 1986. 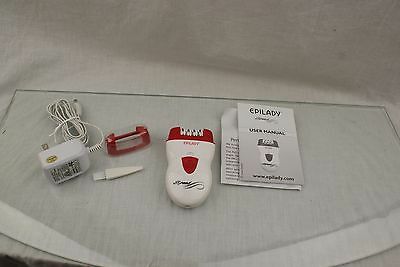 In fact, the original Epilady was manufactured and sold in Israel; before the devices were copied and spread across the world. As with any device, the efficiency and style of the Epilady has improved over the years; but the principle remains the same. Simply roll the Epilady Speed corded epilator across your skin; it will grasp several hairs and pull them out. This process is very similar to waxing but does not cause any damage to the top layer of your skin. Click on the image to check out the product on Amazon. One of the first considerations, whether purchasing your first or tenth epilator, is the price of the product. This is one area in which the Epilady Speed does not disappoint! In fact, it is one of the cheapest options on the market. 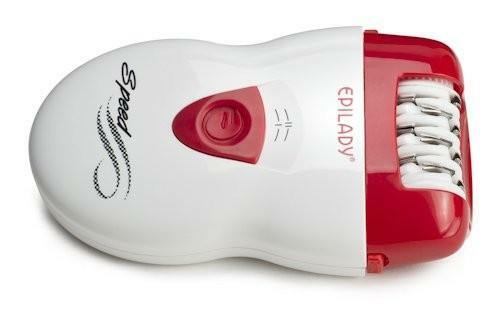 The Epilady Speed corded epilator is fast! The revolving head has twenty pairs of tweezers which can revolve fast enough to effectively grab 31,000 hairs every minute! Of course, not every tweeze will connect and the actual rate of removal is lower. But, if you are in a rush you can be sure that this device will not let you down! There is also a lower speed setting which allows you to do the more sensitive areas of your skin. This can also be a good setting for those who are new to epilating. Some epilators will only focus on specific parts of your body. This can mean you need two different devices simply to perform your hair removal tasks. Fortunately, this is not an issue with the Epilady Speed. It is safe and practical to use on any part of your body; with the exception of your eyebrows. This is a good thing, one slip on your eyebrows and you may have none left! The Epilady Speed also comes equipped with an angle guard. This is particularly helpful for first time epilators. The guide attaches to your device and ensures it remains at the same angle whilst you run it across your skin. This ensures a uniform result and will enable you to complete the task quicker. All epilators need to be cleaned regularly. The Epilady Speed comes complete with a cleaning brush to ensure even this task is incredibly simple! In a digital age virtually everything is portable. Cords are old fashioned and often cumbersome. This is no different with the epilator. The Epilady Speed must be plugged in; this means you are limited as to where you can use it and you will find that the cord frequently gets in the way when trying to move it across your skin. The cord also makes it more difficult to store and even carry your epilator with you; when needed. 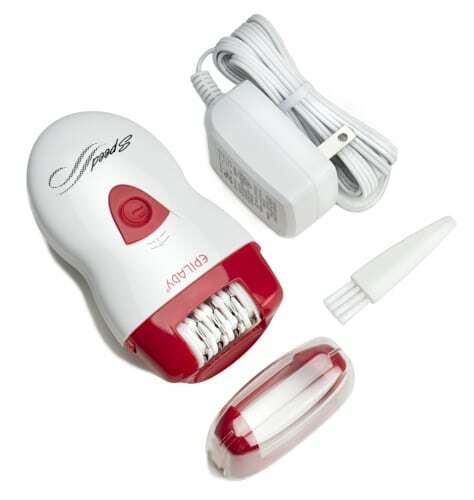 At this price it is hard to ignore the potential in the Epilady Speed corded epilator. Even though the cord can get in the way; the design of the product is good. It fits comfortably into your hand and can make the job of hair removal simple. It does come with a good level of warranty; any defect resulting from a manufacturing issue, not a misuse issue, is covered and will be dealt with promptly and efficiently by the firm. You will also find there are a large number of positive reviews from customers who have tried this product before. The biggest drawback seems to be the cord which can get in the way and prevents the Epilady Speed corded epilator from being waterproof. But at this price; this minor inconvenience is worthwhile!